Be the first to share your favorite memory, photo or story of Beatrice. This memorial page is dedicated for family, friends and future generations to celebrate the life of their loved one. Bea Phillips, 97 year old Mooreland Resident died Friday, February 8, 2019. Funeral services will be held at 2:00 pm Sunday, February 10, 2019 in the Mooreland Assembly of God Church. Interment will follow in Mooreland Cemetery with the Billings Funeral Home in charge of arrangements. Beatrice (Bea) Mae Henderson, daughter of William Elwood Henderson and Millie Mae (Sweezey) Henderson was born September 26, 1921, Quinlan, Ok. When she was six years old the family moved north of Mooreland to the Dillon community. At an early age she accepted Jesus as her Savior. On July 8, 1938, she married Carl Norman Phillips, they celebrated their 72nd anniversary before he passed in 2010. 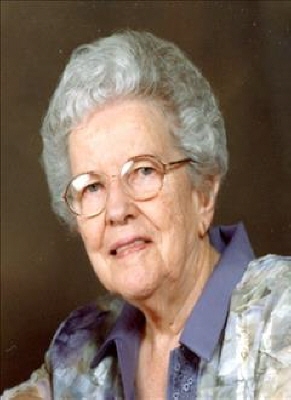 Bea was a member of the Mooreland Assembly of God Church where she served in various positions through the years: Sunday school teacher, missionnets leader, Church sec- treasurer. She was a past member ofTriple M Club, enjoyed ceramics and China painting. She was the "Best"...wife, mom, grandma, great grandma, aunt, sister and cook! Bea leaves wonderful memories to her three children: Lois Tyrone, Billie and husband Richard Enid and Delbert Ponca City, Ok; grandchildren: Brint and Kim Walstad, Brady and Lisa Walstad, Lei Ann Lohman, Kirk and Kim Hilbig; Doug and Penny Hilbig. Great Grandchildren: Kandra, Stockton, Jordan and Clint, Katie, Hannah and Luke , Morgan and Jordan; Brock, Shelby, Maggie and Zane; Great Great Grandsons: Gavin and Landry Rodriguez, Cody and Kael Ramsey, Emerson Hall and Great Great granddaughter Remi Palmer; Brother in law John and Eva Lee Phillips, Tahlequah; A host of relatives, nieces and nephews, neighbors and friends. She was preceded in death by her parents, brothers Merle and Everette Henderson, sister Vernice Parrish and son- in-law Bob Walstad. In lieu of flowers memorial contributions may be made to the Mooreland Assembly of God Church with the funeral accepting the contributions. To send flowers or a remembrance gift to the family of Beatrice M Phillips, please visit our Tribute Store. "Email Address" would like to share the life celebration of Beatrice M Phillips. Click on the "link" to go to share a favorite memory or leave a condolence message for the family.